Safety equipment: Since you will be working with resins, you will need suitable safety equipment. While cured resin is safe, resin gives off dangerous and volatile fumes during the curing process. 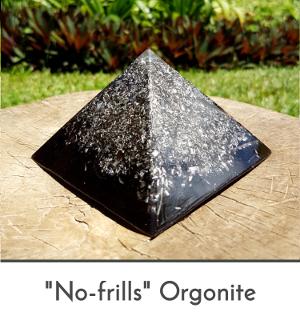 Try to make orgonite outside, or in a well-ventilated area, and keep it away from open flames or any electrical equipment which could cause a fire, since the fumes are flammable. As for safety equipment, you will need a respirator mask that protects you from organic vapours, such as this multi-purpose respirator . Don’t compromise your safety – these fumes can cause serious lung problems later down the line. You will also need gloves (I use regular rubber gloves – the kind you wash dishes with). I also recommend an apron to avoid getting resin on your clothes. Pro-tip – if you get resin on your skin, immediately wash it off with vinegar. 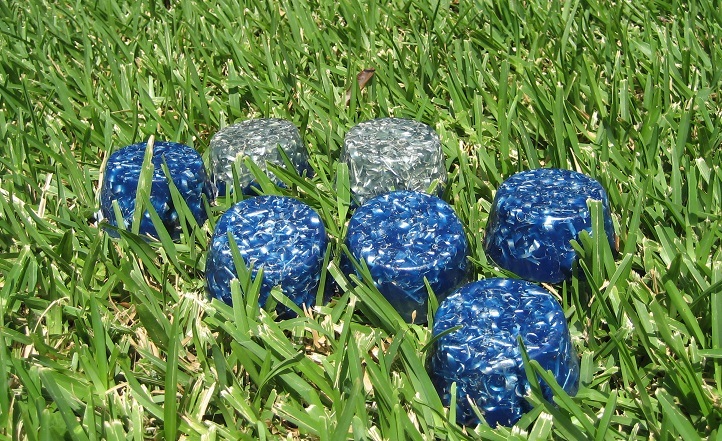 Polyester or epoxy resin: Polyester resin is the most commonly used for orgonite, as it is less expensive, and also because it shrinks more when it is cured. 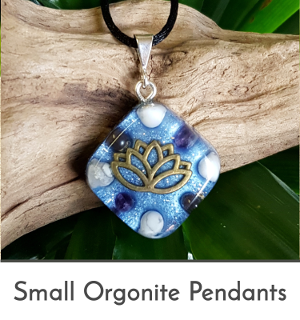 This makes the orgonite more effective, since the shrinking causes constant pressure to be put on the quartz crystal inside, creating a piezoelectric effect. I use water clear casting resin in my orgonite, which is more expensive, but you can also use regular resin which will turn yellow-brownish when it cures. 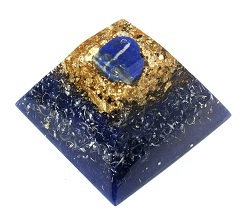 Metal: The more surface area the metal bits inside the orgonite has, the more effective it will be. Metal shavings are the ideal option – you might be able to obtain these free of charge or for a small fee at any shops in your area where they deal with metals, such as engineering shops or key-cutting shops. If you don’t have access to this, you can get inventive with cut-up copper or stainless steel scrubbies or coke cans cut into small bits. Mostly any metal will do, but aluminium and copper are the most widely-used metals for orgonite. 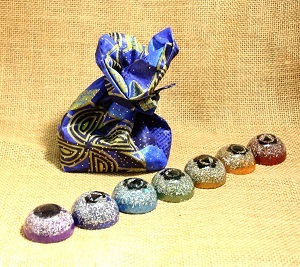 Quartz crystals: Without the quartz crystal and its piezoelectric effect, the orgonite will become an energy accumulator rather than an energy cleanser. 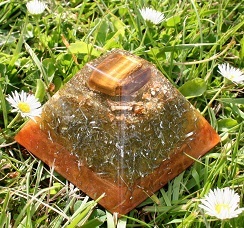 Having orgonite around which is loaded with stagnant energy is not a good idea! Moulds: For the beginner, silicone muffin moulds are perfect because the cured resin won’t stick to the mould. You can also use metal, glass, and some plastics, but you will need to lubricate these with mould-release spray. 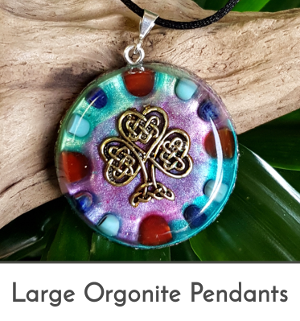 Additives: This is optional, but you can add other gemstones to your orgonite. 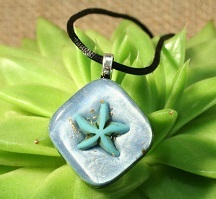 If a crystal is set in orgonite, its properties become magnified. You can have a lot of fun experimenting with crystals with different properties for different purposes. 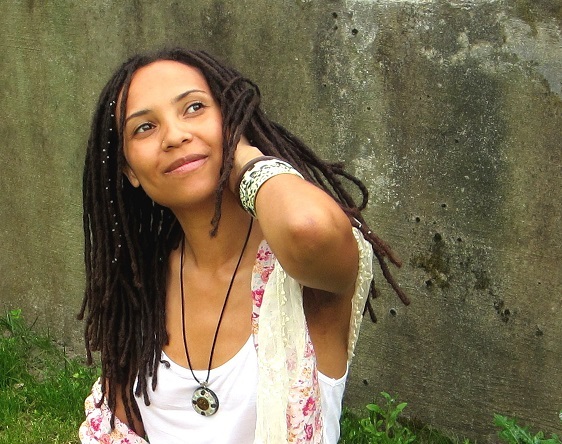 Keep it simple though – I use 2-3 additional crystals max, and even then make sure that they have compatible energies. 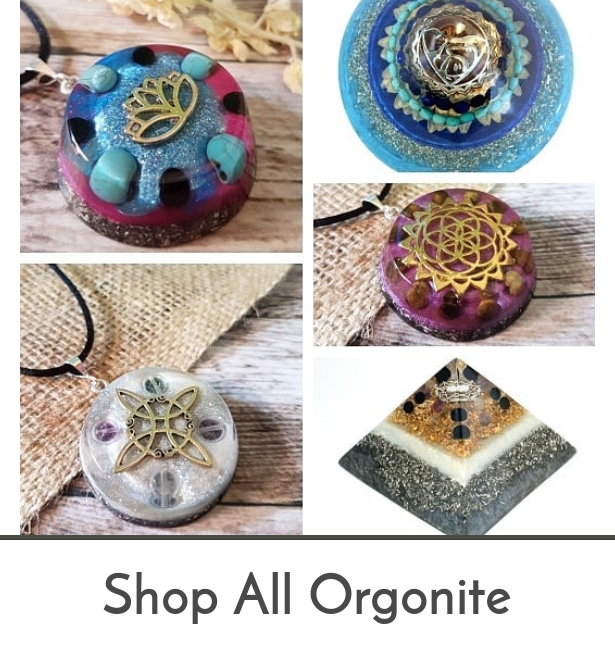 Once you have obtained all the ingredients, you can start making your own orgonite! it is important to be in a good state of mind while making orgonite, since it becomes imprinted with energy during the curing process. A meditation session beforehand is a good idea. 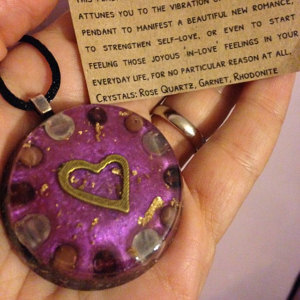 Try to keep your intentions positive and loving whilst making the orgonite. First, put the metal in the moulds. 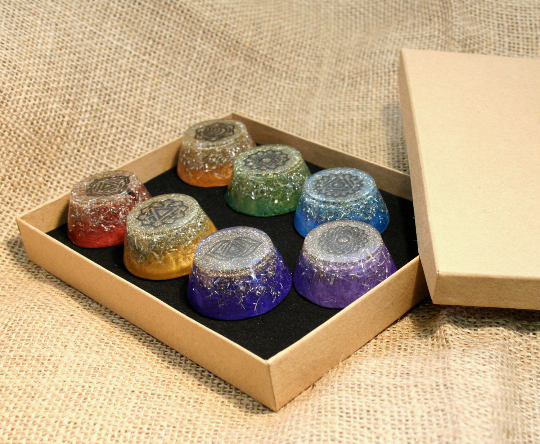 Fill them with metal nearly to the top- you will want the top to consist of a centimetre or so of pure resin. 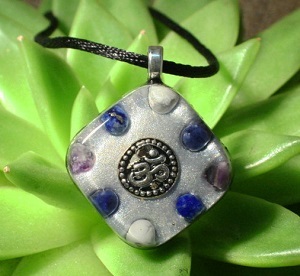 Put the quartz crystal in with the metal, and any other crystals you want to add. Next comes the resin. Resin comes with a catalyst that you mix in for it to start curing – the packet should tell you how much, but generally for polyester resin, you will need 2-3% of catalyst. Use plastic cups to mix the resin (don’t use any equipment that you will need for any other purposes – cured resin is near-impossible to clean off). Mix the resin with the catalyst and pour it into the moulds. Now all you need is to let the resin cure by itself. 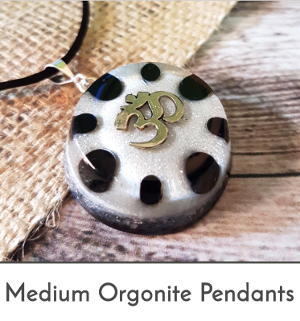 Don’t take the orgonite out of the mould for at least 24 hours. It may take up to a week before the resin has cured enough to have a hard surface. 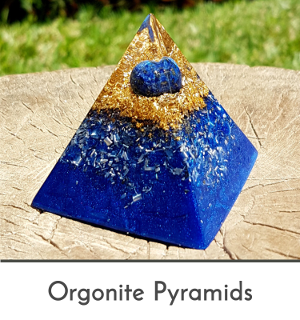 Your first orgonite batch may not come out perfect – it took me a lot of practice and mistakes to be able to make the orgonite I make today! However, practice does make perfect.